S.C. Dharamadhikari And Smt. Bharati H. Dangre, Jj. 1. The petitioner has brought before this Court his grievance and it is little peculiar. 2. The petitioner says that it is a company engaged in manufacturing of robotic and automation equipment. The 1st respondent is the Union of India through the Commissioner of Central Goods and Services Tax, Pune and the 2nd respondent is the State of Maharashtra through the Commissioner of State Goods and Services Tax. 3. The purpose of filing this petition is because the petitioner having been granted a provisional registration number under the Central Goods and Services Tax act, 2017 and the Maharashtra Goods and Services Tax Act, 2017, is not able to access its online profile on the Goods and Service Tax Network. There is no fault or negligence on the part of the petitioner. The petitioner says that it is the respondents who have decided to put in place an automated and electronic system of accepting tax returns based on self-assessment. 4. The petitioner says that the Electronic Way Bills Rules have yet to come into force. Therefore, without access to the online profile, the petitioner cannot generate E-way bills. Without such E-way bills, the petitioner will not be allowed to move the goods anywhere and that will paralyse its business. Lack of access would mean that the petitioner is unable to file return or pay tax or undertake any other compliances required by the statute. Such lack of access to the online profile also inhibits the petitioner from securing the final registration number. In the absence thereof, the petitioner is exposed to interest liability and may have to face even penal consequences. Importantly, the petitioner as well as its customers are unable to avail input tax credit mechanism. 5. The writ petition was filed in this Court and after its filing, notice was issued. On the earlier occasion, only the learned AGP representing the State Goods and Services Tax Commissioner appeared before us. After notice, Mr. Mishra is instructed to appear for respondent no.1. 6. The petitioner says that after filing of this petition, on 25th January 2018, it has been allowed access to the online profile. However, even this access is not complete. The petitioner was granted the final registration number and the profile was made operational, but the petitioner could not file the necessary return, and particularly the Return GSTR-3B, and the payment of tax is not possible without this return. This return is not being accepted without payment of late fee for the period from October 2017 onwards. 7. The petitioner also faces innumerable other difficulties as highlighted in the further affidavit filed by the petitioner before us. 8. On all these materials, we inquired from Mr. Mishra in the prerecess and postrecess sessions as to how this Court could redress the grievance of the parties like the petitioner and make the system operational and functional for them. It is not the business of this Court to grant such access as is claimed by the petitioner. It is for the authorities to work out the necessary mechanism and set that in place. It must also set up and establish a grievance redressal mechanism. It is no answer that such issues, as are projected in the petition, would be taken up before the Goods and Services Tax Council at its next meeting. 9. When we inquired from Mr. Mishra as to when is the next meeting of this Council, he has no instructions. Whether the grievance of the petitioner would be projected and raised before the Council or not, Mr. Mishra could not give us a definite answer. All that Mr. Mishra says is that he may be granted two weeks’ time to take instructions and file affidavit. 10. We do not think that these are satisfactory state of affairs. 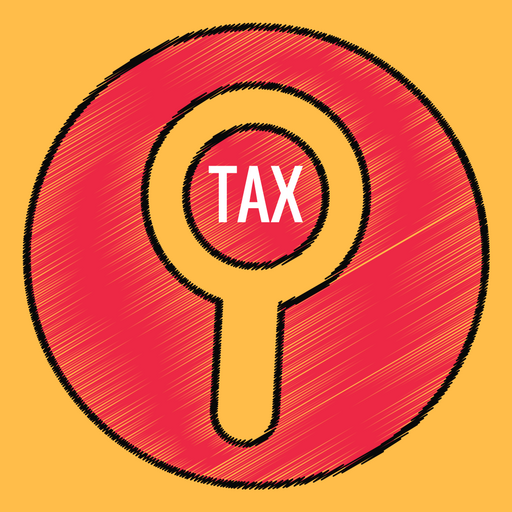 A tax like Goods and Services Tax was highly publicised and termed as popular. We had yet not seen a celebration of New Tax regime, but that has followed with great hue and cry. These celebrations mean nothing. The special sessions of Parliament or special or extraordinary meetings of Council would mean nothing to the assessees unless they obtain easy access to the website and portals. The regime is not tax friendly. We hope and trust that those in charge of implementation and administration of this law will at least now wake up and put in place the requisite mechanism. This is necessary to preserve the image, prestige and reputation of this country, particularly when we are inviting and welcoming foreign investment in the State and the country. We hope and trust that such petitions are rarity and the Court will not be called upon to administer the implementation of the law, leave alone monitoring and supervising the working of the individual officials, howsoever high ranking he may be. 11. We would record that similar grievances have been raised before the Allahabad High court in Continental India (P.) Ltd. v. Union of India [Writ (Tax) No. 67 of 2018] and the order of the Division Bench of that Court dated 24th January 2018 directs the respondents before it to reopen the portal and in the event it is not done, there is further direction to entertain the application of the petitioner before the Allahabad High Court manually and pass orders on it after due verification of the credits as claimed by the petitioner before the Allahabad High Court. We would also be constrained to pass such order and that would not be restricted to the petitioner before us alone. 12. We post this matter, at the request of Mr. Mishra, on 16th February 2018, with a direction that on or before 16th February 2018 an affidavit in reply shall be filed in this Court by respondent no.1 with advance copy to the advocate for the petitioner. This entry was posted in GST Caselaws, Section 39 and tagged Bombay High Court (GST), Electronic Way Bills, In favour of Assessee (GST), Year 2018.